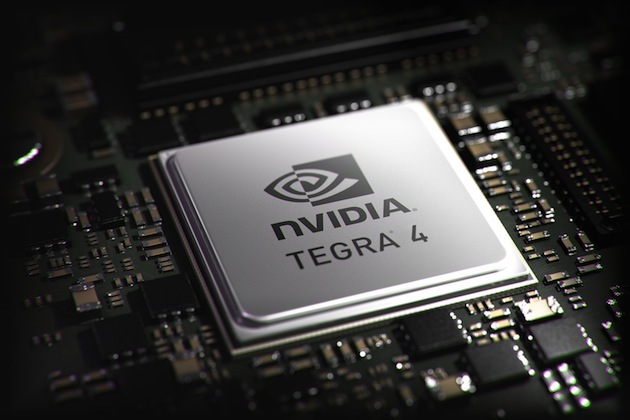 ZTE and Nvidia team up for the first Tegra 4 phone! Last year Nvidia's Tegra 3 processor didn't end up inside too many smartphones, instead manufacturers tended to put the Tegra 3 inside their tablet devices, with the HTC One X, One X+ and the LG Optimus 4X HD being the notable exceptions. This trend has seemingly carried forward into this year too, with a distinct lack of phone manufacturers being forthcoming in their adoption of the Tegra 4 chipset, possibly because it won't be launching until Q2. Which may explain why we've seen HTC and Sony opt for Qualcomm's new Snapdragons on their high end smartphones. That's not the end of the story though and fear not Tegra lovers, you'll soon be treated to your Tegra 4 chipset courtesy of Nvidia and ZTE! A smartphone, which is currently being developed, will come with a Tegra 4 as well as an additional i500 LTE chipset. This will mean you'll get your full 72 graphics cores, 12 of which you'd be missing if you were to get the Tegra 4i processor instead. The device will supposedly be with us before the 'mid-year' and ZTE explained how, 'This is a clear demonstration of ZTE’s ability to quickly develop, and bring to market, market-leading devices running the industry’s latest technologies.' We'll let you know when we hear more, but in the mean time the full press release is embedded below! 21 February 2013, Shenzhen, China – ZTE Corporation (“ZTE”) (H share stock code: 0763.HK / A share stock code: 000063.SZ), a publicly-listed global provider of telecommunications equipment, network solutions and mobile devices has announced that it is partnering with NVIDIA to deliver the first super phones powered by the NVIDIA® Tegra® 4 mobile processor, with the first models to reach the market before mid-year. “This is a clear demonstration of ZTE’s ability to quickly develop, and bring to market, market-leading devices running the industry’s latest technologies,” said Mr. He Shiyou, ZTE EVP and Head of the Terminal Division. 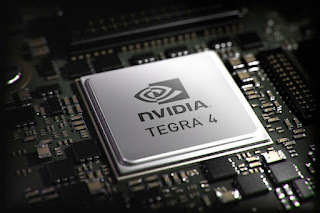 The NVIDIA Tegra 4 will enable the ZTE devices to deliver ultra-fast web browsing, improved app load times, more realistic gaming experiences and great battery life – thanks to the processor’s 72 custom NVIDIA GeForce® cores and quad-core ARM Cortex-A15 CPU. Tegra 4 also enables worldwide 4G LTE voice and data support through an optional chipset, the NVIDIA i500 processor. ZTE and NVIDIA are also planning a new LTE super phone using the i500 LTE chipset for blazing-fast networking. "We’re proud to continue our pioneering partnership with NVIDIA and are looking forward to offering more Tegra-powered devices, which are defining a new generation of phones offering premium mobile computing experiences,” said Mr. He. "Our Tegra 4 smartphones will provide full HD entertainment and multimedia experiences that consumers will love." "ZTE's newest super phones will show off Tegra 4's processing power, efficiency and unprecedented capabilities,” said Phil Carmack, Senior Vice President of the Mobile business at NVIDIA. “They’re a great example of what the market expects from one of the world's largest phone makers."